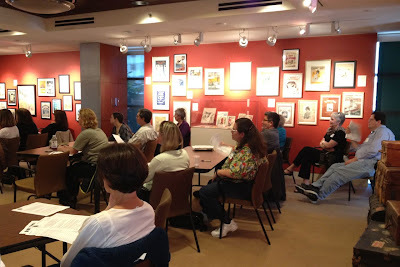 On Saturday, September 9, 2012, Lavinia Schwarz presented Genealogy 101: Getting Started, at the Society of California Pioneers in San Francisco. Lavinia heads the research team at the California Genealogical Society and is a former member of the board of directors. The class grew out of a desire for collaboration between our two societies. 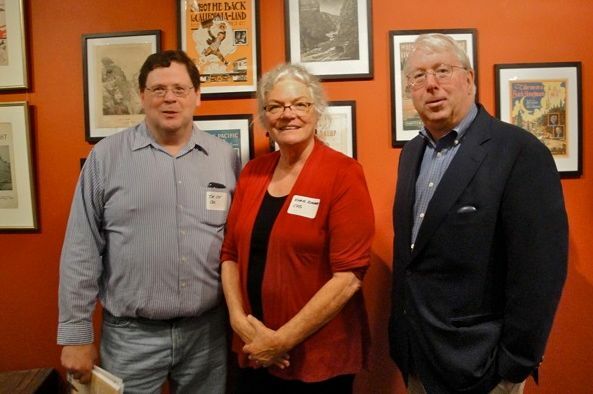 Our board members, Pat Gallagher and Henry Snyder, worked with California Pioneers Director of Library and Archives, Patricia L. Keats, to make it happen. Joseph and Mildred Rolph Moore Gallery. The setting was the beautiful Joseph and Mildred Rolph Moore Gallery. 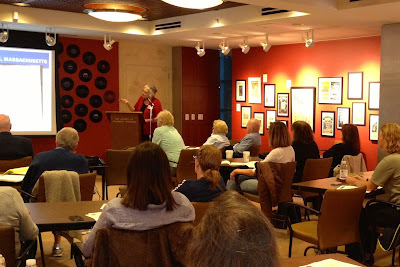 The class was free and open members of both the California Genealogical Society and the Society of California Pioneers. SOCP Director of Membership Services, Peggy Huntington, and SOCP Board President Thomas McLaughlin were present to welcome attendees and get things started. More than thirty participants heard Lavinia's excellent presentation on how to get started on a genealogical quest. Members of both the California Genealogical Society and the Society of California Pioneers were in attendance. Talk to everyone in the family. Gather what you collect and pick an approach. Copy and source what you find. If you can, use technology. 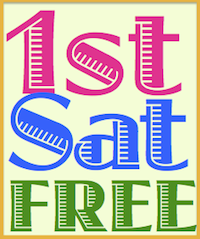 Lavinia provided a hand-out with resource suggestions, a comprehensive list of genealogy websites, and three sample forms – ancestral chart, research calendar, and family group record sheet. The class was very well-received. Organizer Pat Gallagher noted: "Lots of folks left the room saying how inspired they were to get going." 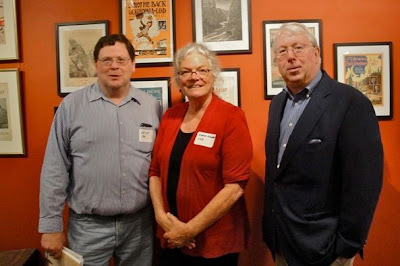 The California Genealogical Society gratefully acknowledges the assistance of Education and Gallery Manager John Hogan for facilitating the event. We look forward to future collaborative endeavors with the Society of California Pioneers.